CSP Acoustics has experience of a wide range of energy generation projects across Scotland and in other parts of the UK where increasing concerns over the noise impacts of various types of projects have required meticulous surveys, predictions and assessment together with detailed discussions and negotiations with Local Authorities. CSP Acoustics is therefore well positioned to provide the range of services required to assist with such projects. CSP Acoustics has been involved in a range of Energy sector, as well as a number of defence related projects. Wind turbine impact assessments have ranged from single turbine desktop assessments, to small wind croft as well as major large turbine projects across Scotland – where background noise surveys and iterative predictions have been required. CSPA has also been involved in Impact Assessments of small-scale hydro generation projects as well as a number of major Combined Heat and Power projects – where, for example, noise issues due to timber stripping and chipping processes were major concerns to neighbours and operators. CSPA has also been involved with a number of defence (and gun sports) related projects where shooting noise concerns were paramount and where survey measurement and assessment were critical issues. CSP Acoustics worked with clients and Local Authorities to ensure that project parameters were adjusted and noise control measures introduced to address the concerns of all involved and to secure satisfactory outcomes. Negotiations with Local Authorities will be required to establish the criteria for assessments, especially now that PAN 1/2011 gives each Local Authority the ability to set down its own criteria and standards. In addition locations for background noise monitoring surveys will need to be agreed as well as various aspects of use of ETSU-R-97 and amplitude modulation corrections when dealing with Turbine projects. Construction noise associated with energy generation projects can be a significant issue and will benefit from CSPA Modelling and Mapping services. Our linked page on Environment and Noise services provides further useful information as does the section on Construction Noise Assessments and Control on the CSPA Noise and Nuisance service page. One consequence of many Energy and Defence (e.g. 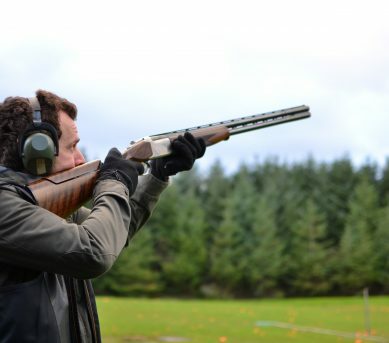 shooting noise related) projects may be a requirement to demonstrate compliance with Planning Conditions that limit noise levels at noise sensitive receptors and this may require the client to carry out and report on agreed or conditioned monitoring programmes. CSPA has substantial experience of such monitoring regimes, can assist with negotiations on and compliance with such agreements and can ensure a cost effective delivery of a compliance programme. See also our Compliance and Monitoring service page and particularly the subsection on Monitoring and Performance Audit.